Our class follows a workshop model for reading instruction. In whole group reading, students practice specific reading skills/elements and comprehension strategies through a whole-class minilesson or a shared reading lesson. In small group reading, students apply reading strategies and skills to their on-level books. The teacher may confer with an individual student or meet with a small group of students to practice a specific reading strategy. The majority of reading workshop is dedicated to independent reading. During this time, students will read their on-level book, interact with the text using sticky notes, and share their insights with a partner. Students will meet with the teacher periodically to confer about their independent reading. Students are required to complete a reading log (found below) that documents all reading -- both at home and at school.Students are expected to read a minimum of 20 minutes at home each weekday, for a total of 100 minutes at home every week. Students will write reader's responses at home and in class throughout the week. A reader's response is a meaningful reaction to the text. There is no required length of a reader's response, only that it should be thought-provoking and include enough detail to inform and enlighten the reader. The teacher will discuss reader's responses during individual/group reading conferences. Quizzes, story maps, and graphic organizers may also be assigned periodically. These, too, will be checked and discussed during reading conferences. It is suggested that students use a binder to keep all reading materials together. Our class will visit the library every Thursday. 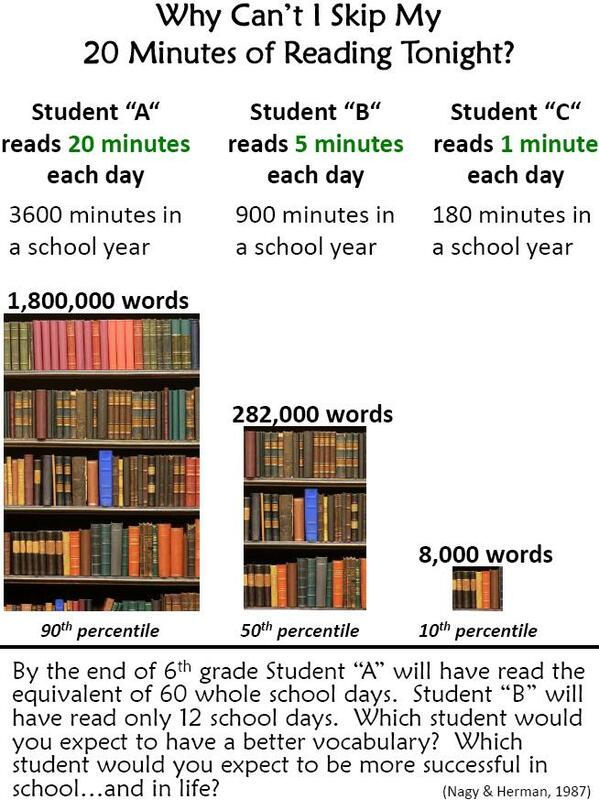 Students may have up to three books checked out at a time. Fifth Grade PASS Objectives - Scroll down to see reading objectives taught in fifth grade. Scholastic Book Wizard - Look up Fountas and Pinnell (F/P) reading levels for books (called "guided reading" levels on this site). This is the level system used at Peters. AR Book Find - Look up AR levels and point values for books. Leveled Book List - Browse F/P book levels by title or by author. Fountas and Pinnell (F/P) Benchmarks - Grade level instructional reading expectations (independent levels are one level lower). Reading Skills Practice - A collection of games and online practice quizzes related to specific reading skills. Symphony in Slang - Idioms video. Scholastic Scope - A fantastic collection of short stories and articles. Time for Kids - A collection of timely nonfiction articles.